It may be just me, but it seems like thru-hikers flock to Colorado after completing the trail. Whether it’s the mountains, the culture, the presence of the one and only Zach Davis, or all of the above, Colorado is a past thru-hiker’s paradise. With Colorado being my current residence, and a Colorado Trail thru-hike coming up in the near future, I will be examining some of the wonderful attractions Colorado has to offer. 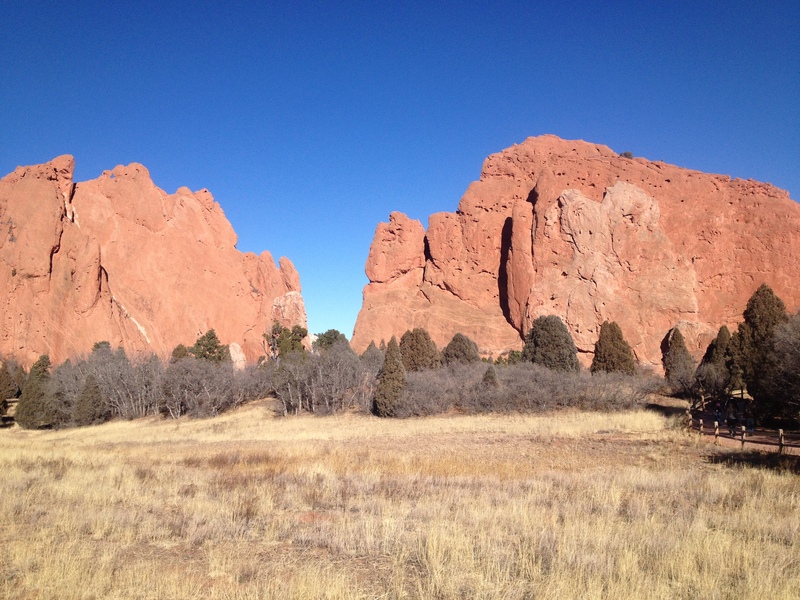 Background – Garden of the Gods was discovered and named by two surveyors, M.S. Beach and Rufus Cable, during the gold rush in the mid 1800’s. Shortly after William Jackson Palmer founded Colorado Springs in 1871, Charles Elliot Perkins, a friend of Palmer, purchased 240 acres in Garden of the Gods for a summer home. Perkins never built on the lands, preferring to leave it in its natural state for the public to enjoy. In 1907 Perkins passed away with the hope that the land would remain free to the public forever. 2 years later, in 1909, his children conveyed the land to the city of Colorado Springs. 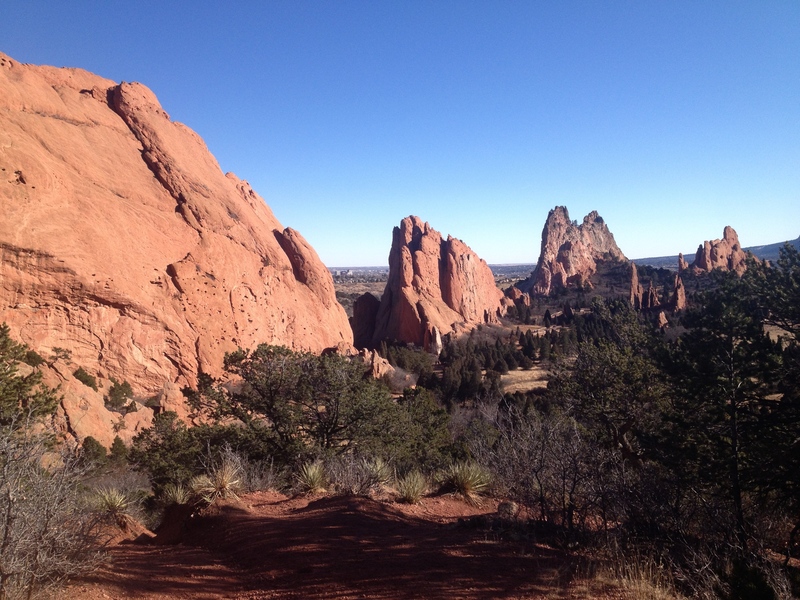 Things to do – There are plenty of activities available at the Garden of the Gods. A good place to start is the visitor center. In the visitor center, you can purchase souvenirs, dine at the cafe, sign up for van tours, watch informational movies, and get connected with volunteer opportunities. In the park, there are opportunities to bike, climb, hike, horseback ride, and picnic. Segway tours are also available. Perks – Obviously, these sandstone rock formations and the paths surrounding them are stunning and there are many great viewpoints in the park. If you’re into climbing, there are a lot of different rocks to climb on if you are prepared with the proper permits and gear. As a local, I frequently come to Garden of the Gods to relax and play guitar. It’s a good spot for a first date. If you’re into photography, Garden of the Gods is definitely worth the trip. Flaws – The area is super touristy and can be crowded when there is good weather. If you’re looking for intimacy with nature, there are much better options in the surrounding area. Overall, Garden of the Gods is a pretty spectacular place but can be chaotic with tourists (like the Presidential Range in New Hampshire) at certain times. If you’re around the Colorado Springs area, it is definitely worth the trip. If you’re not around the Colorado Springs area, I wouldn’t plan a trip based only around the garden. 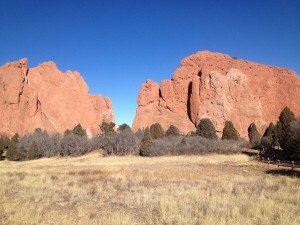 There are plenty of other amazing places to go to in Colorado and Garden of the Gods may not be worth more than a day trip. To find out more about Garden of the Gods, check out this website.